The Belgian Heritage Center will host its first Hunter’s Raffle & Wild Game Meal Sept. 15, 11 am to 3 pm. The center volunteers will serve an all-you-care-to-eat wild game stew and wild game chili, served with fresh bread, and dessert for $8. 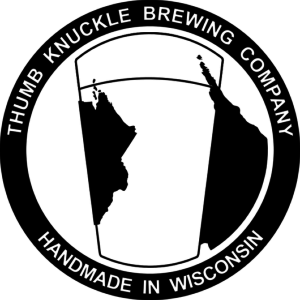 There will be Thumb Knuckle beer on tap for purchase. The big drawing will be at 2 pm for the major prizes which include a Browning A-Bolt II 30-06 rifle, a Mossberg Patriot scoped .270 walnut rifle, a Savage 555 O/U 20-gauge shotgun, a Henry Golden Boy .22LR rifle, a Browning Buckmark 22LR pistol, a CVA Hunter .243 compact rifle, a Barnett Jackal crossbow package w/ optic, Vortex Optics Crossfire II 10×40 binoculars, Smokey Ridge Taxidermy gift certificates and a handmade ash walking stick with deer antler top. There will be other raffles and games the day of the event for both adults and kids. In addition to the raffles, at 12 pm, Ed Thiry, of Thumb Knuckle Brewery, will speak about his craft and the history of Belgian beers and, at 1 pm, Father Edward Looney will speak on Saint Hubert, patron saint of hunters, as well as other saints of Belgium. Raffle tickets are available during open hours at the Belgian Heritage Center, 10 am – 4 pm Friday through Sunday, and from board members. Any remaining tickets will be sold the day of the event. There is no need to be present to win. For more information visit belgianheritagecenter.org.